Maybelline’s Pink Edge Palette, $12 at Ulta, has everything you need (minus lip color) to create a cooler toned mauve-y look. The colors are well coordinated and come together to create a look that is a teensy bit more colorful than what you get with your typical neutral palette. 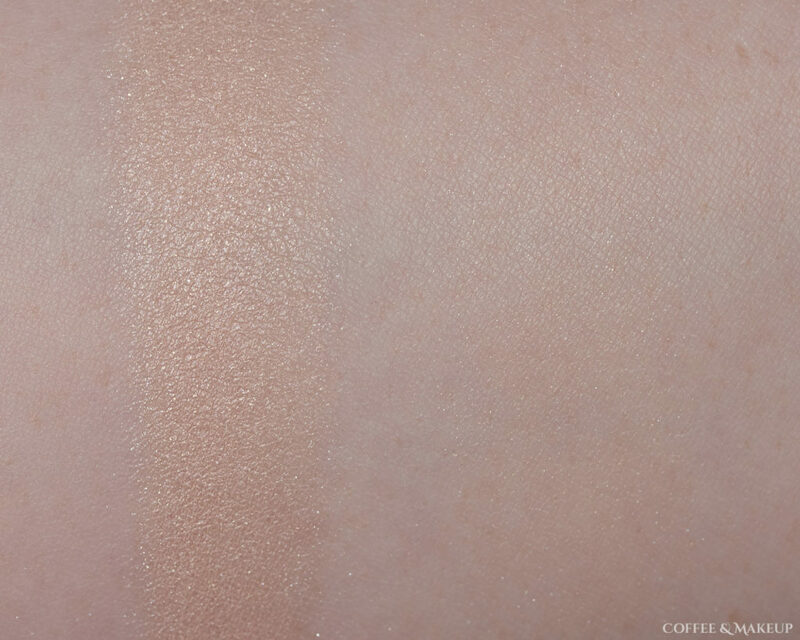 The eyeshadows are kind of powdery but they have good, buildable pigmentation. 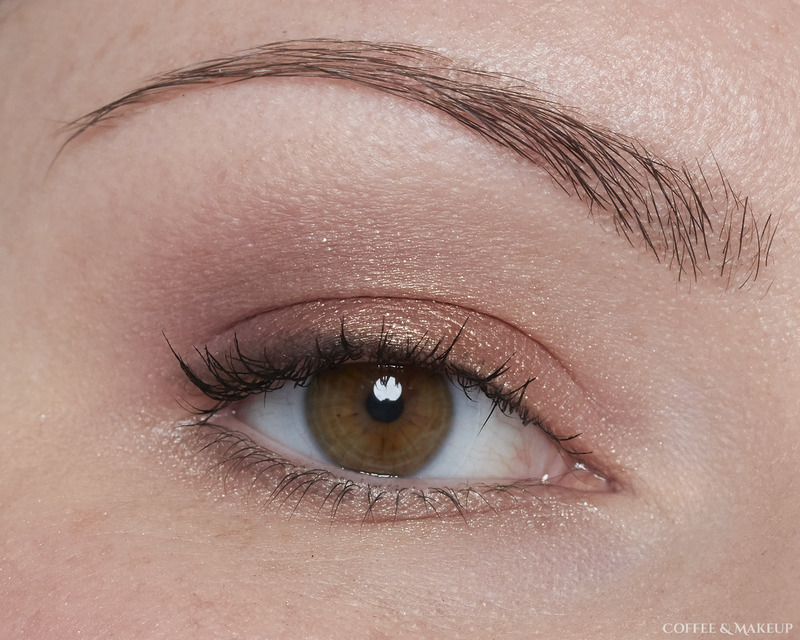 They feel smooth to the touch and blend out easily on the eye. All of the mattes perform well and the shimmers are mostly decent, though I think they are the weakness of the palette. They don’t adhere as well to the lid as I’d like. 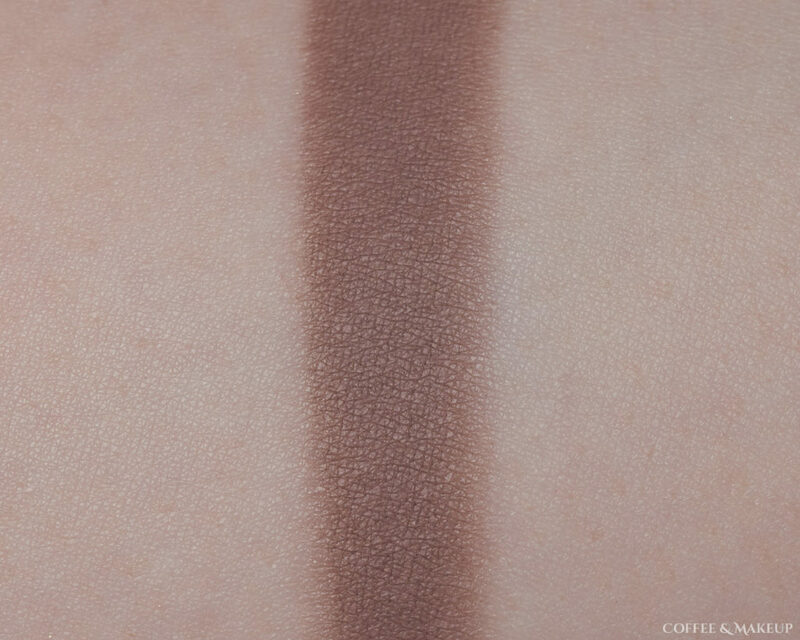 Most of the shades have very little visible fallout except for the rose gold and black eyeshadows. 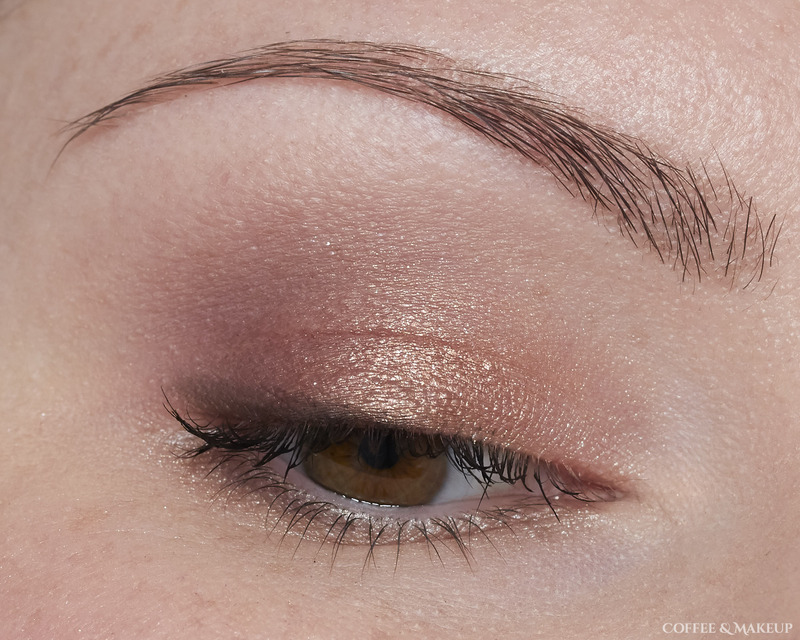 The rose gold applies best with a damp brush to minimize fallout and get the most popping shine out of it. 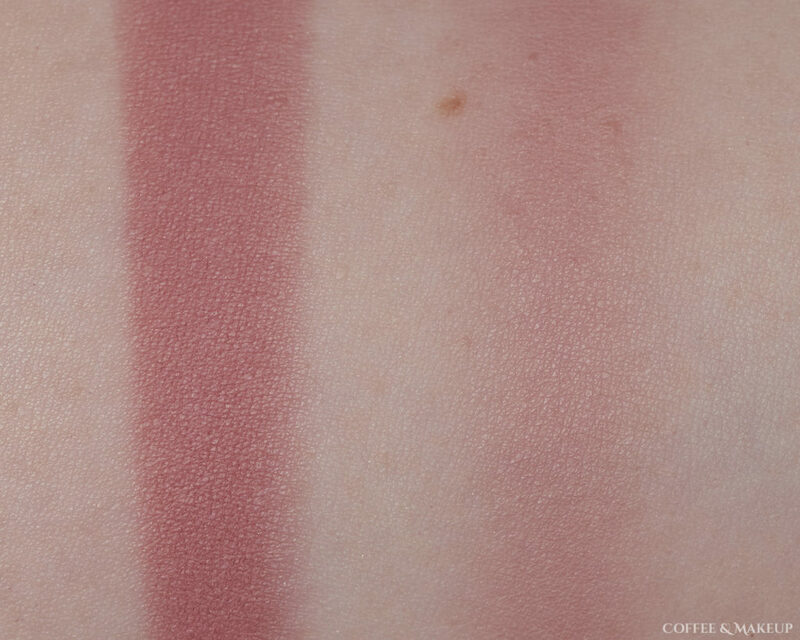 The blush goes beautifully with the eyeshadows. It’s just bright enough to add some life to the overall look. It has stronger pigmentation than I thought it would so I only need to tap my brush into it lightly for a pop of color. The highlighter is similar in texture to the shimmer eyeshadows with shimmer that disperses very readily and evenly over the skin. It is VERY subtle though. 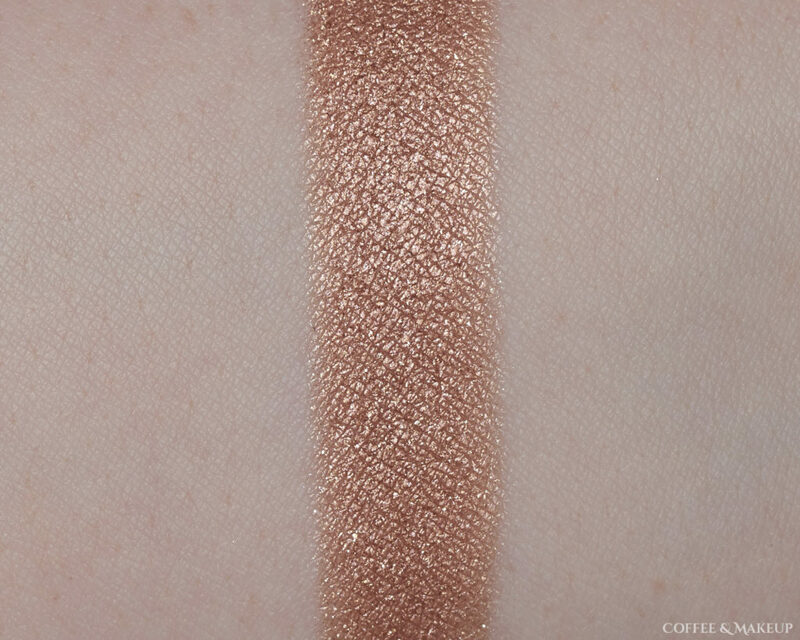 It’s the type of shimmer that you can see better in certain types of light, like sunlight. The effect is more of a sparkle than a sheen. I applied it pretty heavily for the photos and it’s still subtle! It is a highlighter that would be nearly impossible to over apply. Overall, I like this palette and am happy to have it in my collection. 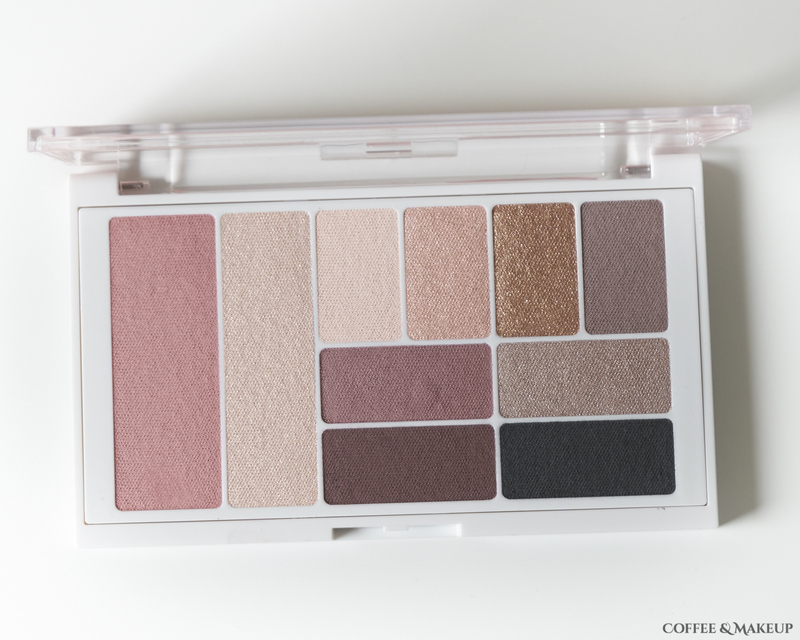 I love that this has a blush in it and that all the colors coordinate so well because it makes for a perfect little travel palette. 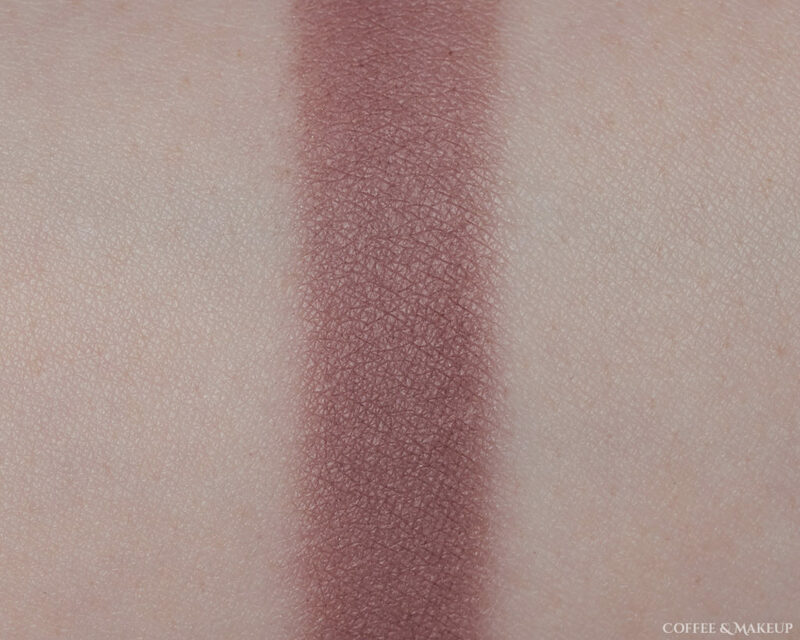 Click on the swatches to see a larger image. In this eye look I am wearing all of the eyeshadow shades.